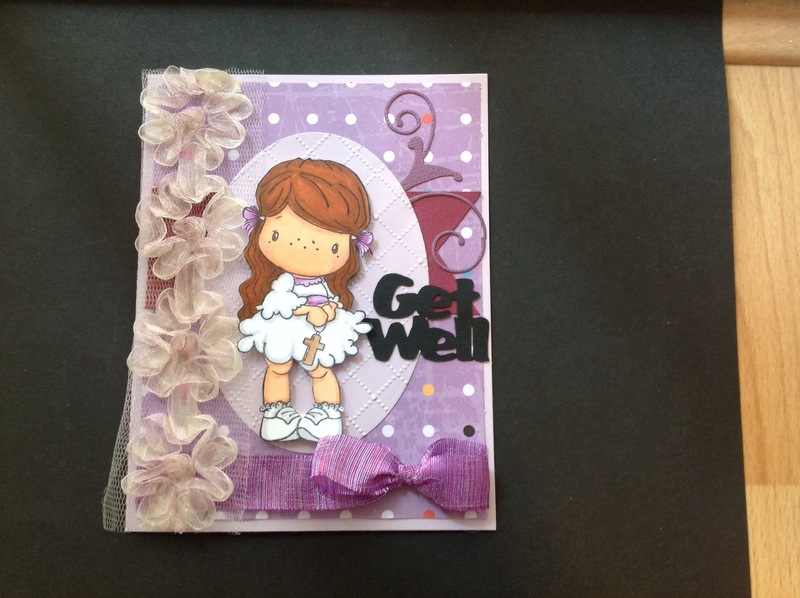 Made this Get Well card for a good friend who had surgery on Wednesday. Used Lucy With Cross from CC Designs. Purple seam binding ordered from CC Designs. Flourish from Memory a Box Gwyneth Flourish. Beautiful card. Your friend will definitely feel better when she sees it. Hope all went well with the surgery.